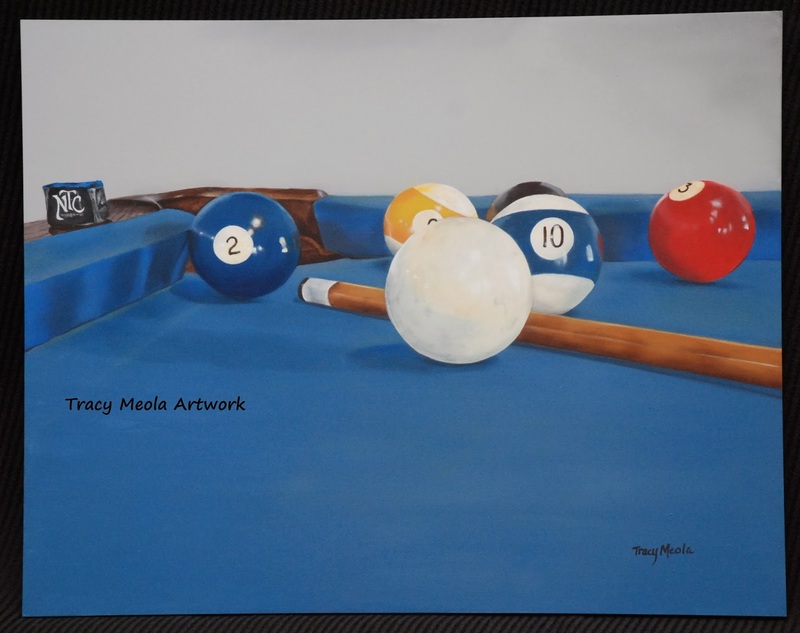 This is my latest painting "Stopped in the Middle of the Game". 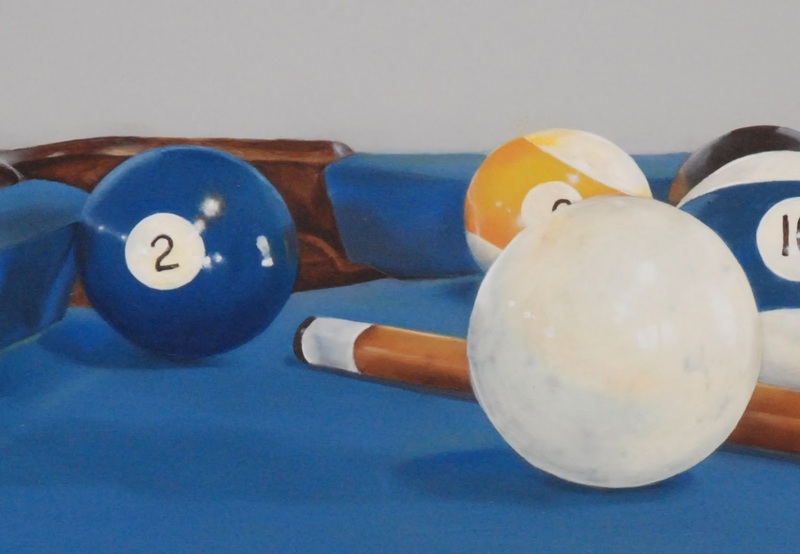 I needed some reference photos so I could paint a billiards painting. I went to a friend's "pool room" and took some random photos of balls scattered on the blue felted table. I always take a lot of photos because many times when I get home and review them, I am fortunate to end up with one that has an interesting layout, and the right lighting and shadows. After reviewing the photos I chose the angle that I liked the best. It looked like someone set their stick down and stopped playing in the middle of the game. The "front and center" cue ball was the most challenging. It was essentially painted from the inside out. I had to paint all the inside markings and scuffs on the ball, the shadows and the yellow tints, before I could begin to make the ball creamy white. By doing the under-painting first, and then building the paint glaze layers on top, it gave the ball it's depth. Adding paint on top of the white to create the marks and scuffs would have been too stark and would look awkward, like something was sitting on the ball instead of part of the ball itself. But this way, even though the ball is a white color it has depth from within. The bright shine highlights were added on top of the creamy white giving the ball a smooth gleam.